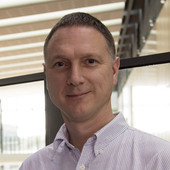 Jeffrey Craig receives funding from the Australian National Health and Medical Research Council and the Financial Markets Foundation For Children. He is affiliated with the Australian Epigenetic Alliance and the International Society for the Developmental Origins of Health and Disease. We are products of nature via nurture. Our genes and environments interact. And “environment” can be what we are experiencing now or at any time during our life. An overwhelming body of evidence, from both humans and other animals, has shown that the environment we experience in the first 1,000 days of life influences our risk of chronic diseases: conditions such as heart disease, diabetes, psychiatric disorders and some cancers. Changes to epigenetics – molecules that lie literally “on top of genes” – have been implicated as a possible mechanism by which early environment (nurture) can leave a long-term change in the risk for chronic disease. In a recent article in The Guardian, Adam Rutherford argued that the term “epigenetics” is now being abused by pseudoscientists in a similar way to “quantum” and “nano”. I’d like to argue that the term has not been misused any more than most scientific terms, bar the odd cosmetic product, or health store. Although researchers sometimes disagree over the meaning of the word “epigenetics”, it can be best understood through its conceptual development over time. Aristotle didn’t like the prevalent idea in his day that we all grow from a microscopic version of ourselves. He coined the term “epigenesis” to describe the developmental process whereby a complex organism develops, through successive stages, from a simple start. This is essentially what we know today as developmental biology. More than 70 years ago, Conrad Waddington modified the word to “epigenetics” and described it as “the interactions of genes with their environment, which bring the phenotype [i.e. the set of observable characteristics of an individual] into being”; my favourite definition. Fast forward to 1996. A handful of notable scientists had already begun to theorise about the molecular nature of epigenetics. These ideas were summed up by Arthur Riggs and colleagues who defined epigenetics as “the study of mitotically and/or meiotically heritable changes in gene function that cannot be explained by changes in DNA sequence”. Epigenetic changes would involve small molecules jumping onto our genes. They would stay there, hanging on even through cell division (mitosis), providing a long term epigenetic legacy. “Meiosis”, the cell division that results in eggs and sperm, implied that such changes could persist from one generation to the next. Fast forward again to today. Most experts’ definition of epigenetics centres around these small molecules. And what have we done with these small molecules? We now have replicated at least two epigenetic biomarkers of environment from the cradle to the grave: stress and smoking. We have clinical biomarkers for cancer prediction, diagnosis and prognosis currently in clinical trials. And we have strong evidence that sometimes, events such as stress and diet in one generation can affect the health and epigenetics of the next. Such effects have also been shown in humans. Is this all non-Darwinian? Certainly not; Darwin will not be turning in his grave because he assumed that cells “throw off minute granules which are dispersed throughout the whole system”. These “gemmules” would be “collected from all parts of the system to constitute the sexual elements, and their development in the next generation forms the new being”. Not entirely correct, but we do already have plausible (although not proven) set of epigenetic molecules that are candidates for such particles. Rutherford, in his Guardian article, rightly pointed out that epigenetic legacies may not last for more than a couple of generations. This may be because that epigenetic state has evolved to responds to environments that may change every few generations. In the longer term, it has even been proposed that epigenetic change in response to environment may be “fixed” by a genetic mutation in the same gene that has a similar effect on its function. I agree with Rutherford that much more work is needed. For example, the human studies of transgenerational effects on health that he showcases have not yet been linked to any specific epigenetic changes. Personally, I would draw the line at calling these effects “epigenetic” but wouldn’t go to war with someone who did. Epigenetics fascinates us all. Yes, we’d love to know whether diet, exercise and meditation really changed our genes. But to turn a handful of promising studies into a mountain of evidence or to fail to replicate such findings, will take time. And we must never lose sight of genetics. After all, in around one fifth of genes studied, genetic sequence is a much stronger influence on epigenetic state than environment, and epigenetics and genetics combined are better able to explain disorders such as obesity. And finally, can we begrudge the odd snake-oil salesman borrowing a technical term like “epigenetics? Maybe, but a quick search of Google shows that reports of true scientific articles on epigenetics far outnumber those with a pseudoscience flavour. I credit the public with sufficient intelligence to sort most of the wheat from the chaff. Let the (informed) debate begin.